Runde's Room: Teacher Appreciation Jackpot! The Jackpot Event is now over. I want to thank-you for taking the time to visit all of these fabulous blogs. 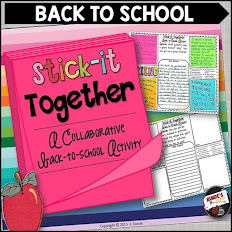 I hope you found many ideas you can use in your classroom. All of my products are still on sale for 20% off in my TPT store (+ an additional 10% off at the checkout when you use the code TAD12) until Tuesday. You know what ... I appreciate YOU! Bet you don't hear that phrase as much as you deserve to hear it! And TODAY - I want to show you just how much!!! And do you know what else? I'm not the only one who appreciates you. 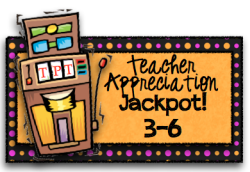 In honour of Teacher Appreciation Week, over 140 talented bloggers have teamed up to provide you with an appreciation JACKPOT! 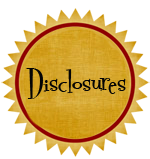 (See what freebie I'm offering at the bottom of this post). 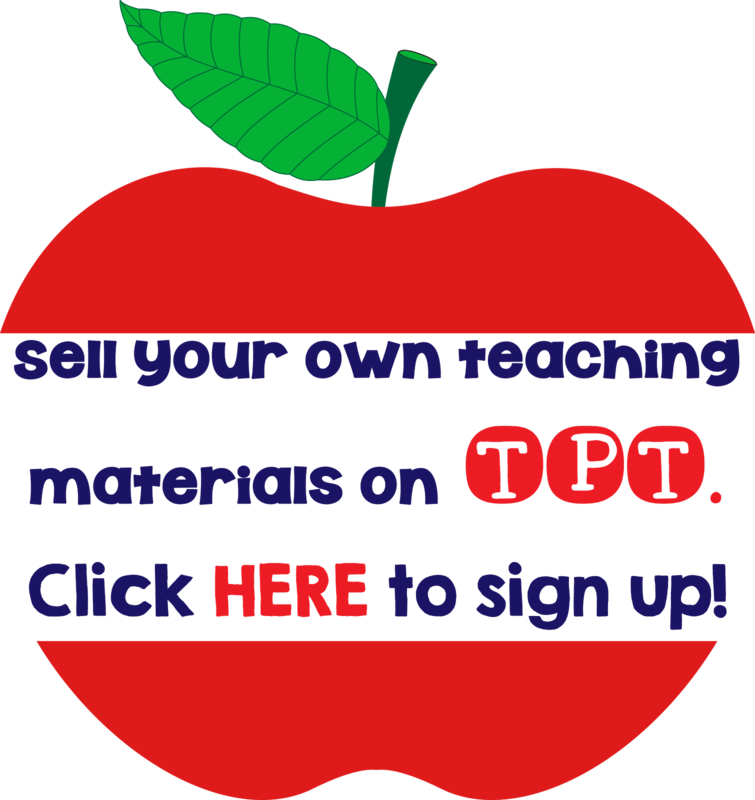 It gets even better ... Sunday, May 6th (today) - Tuesday, May 8th, TeachersPayTeachers is having an unbelievable 3-day Teacher Appreciation Sale. ALL my products are on sale for 20% off, and when you use the promo code, TAD12, you can get an additional 10% off at the checkout! You can click on the image to the right to take a peek at my store. 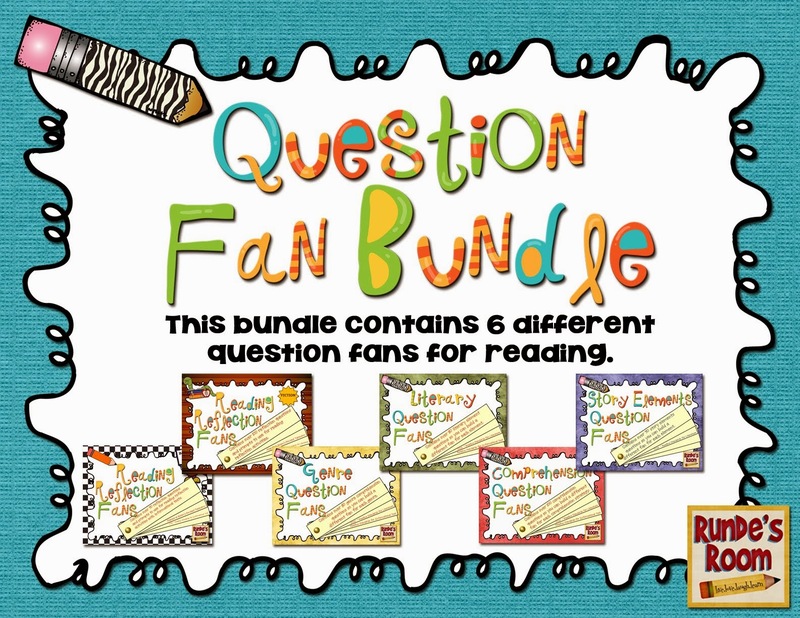 I wanted to offer you one of my newest products (in hopes that not too many of you have it already) for our Teacher Appreciation Jackpot. I've decided to giveaway my Money Cootie Catchers. My students LOVE using cootie catchers in the classroom. 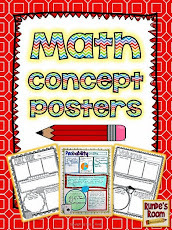 We use them in small group activities, paired activities, as lesson consolidation, as review before a test (or the BIG test), and in centre activities. I've created two versions of these Money Cootie Catchers, and both will be FREE for Sunday, May 6th, only. Both cootie catchers have the same questions, but one has images of American coins, and the other has images of Canadian coins. Click on the correct image below to download the copy you want. I hope you enjoy ... and I hope you finish this FANTASTIC blog hop feeling a little more appreciated. 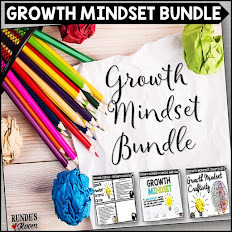 After you download my freebie, make sure you come back to continue "hopping" through this list of more than 40 fabulous freebies. I would like to see any of yor writing workshop units or your grammar dots. Thank-you, Mrs. Shepherd! I ended up offering my newest cootie catchers - Cootie Catcher Money. I wanted to choose a newer product that a lot of people didn't have yet. Since my writing units are some of my most popular units, I was worried too many people would have them already. And we appreciate YOU!!! You are an inspiration - thanks for this explosive event! And I appreciate YOU!!! SO MUCH!!! Thank-you, Mary! 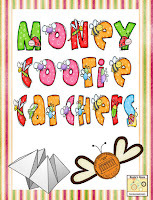 I ended up offering my Money cootie catchers - they are my newest product, so I thought it would be a good one that not a lot of people have yet. I love your things! You are so talented! I may not win, but I will definitely purchase these! My kids love them! Thanks for sharing them and we all appreciate you sharing! Thank-you, Kris. I ended up offering my Money Cootie Catchers. Be sure to drop by here today to get the link for my freebie and links to other 140 other freebies!!! 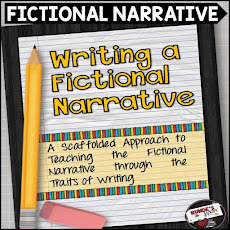 I would love any of your writing workshops! Anything to do with ELA would be good for me. 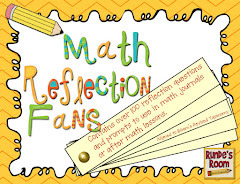 I enjoy your math journal pages and hope to integrate them into our work next year. Math Cootie Catchers would be a big hit with our kids. Thank-you so much! 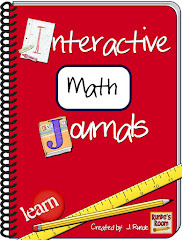 I LOVE the math journals, too - what's more important is so do my students! I ended up offering my Money Cootie Catchers - make sure you drop by today to get the link! Thank-you so much, Wendy! I ended up offering my Money Cootie Catchers. Be sure you drop by today to get the link! I love your Cootie Catchers- My kids take them out every available opportunity. Thank you for sharing your creativity. Thank-you so much! I ended up offering my Money Cootie Catchers for today's freebie. Make sure you drop by today to get the link! I just recently found your blog--you are such an inspiration! I used some cootie catchers today for the first time and I the kids LOVED them! Can't wait to use them more next year! 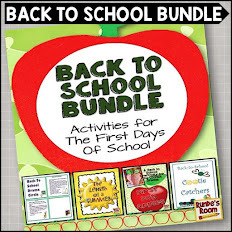 I'm sure whatever you post will be awesome, but anything from your reading resource binder would be helpful! Thank you so much! I love your blog, which I just recently found. Happy Teacher Appreciation week to you too! Thank-you so much! Happy Teacher Appreciation Week to you, too! 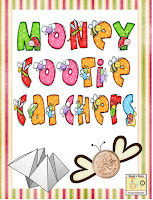 Hope you got the link to download my Money Cootie Catchers for free today. If not, be sure to drop by today. Thank you so much! Happy Teacher Appreciation Week. Thanks for participating! Thank-you so much! Happy Teacher Appreciation Week to YOU! Thank-you! Happy Teacher Appreciation Week! 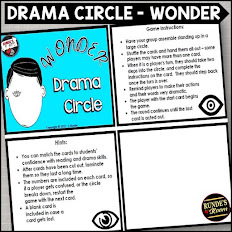 Welcome to my blog - I hope you find lots of ideas to use in your classroom! Thank you! Can't wait to use this in class next FAll! Thank-you so much! Happy Teacher Appreciation Week to YOU! I hope your students enjoy the cootie catchers! Thanks, Steph! Happy Teacher Appreciation Week to YOU!!! You are very welcome!!! Happy Teacher Appreciation Week to YOU! Love the Cootie Catchers!! Thanks so much!! Thanks, Mrs. M! I hope you and your students enjoy!!! Thank you so much! I have been looking at the Cootie Catchers for awhile. I will most likely be purchasing some in the near future. 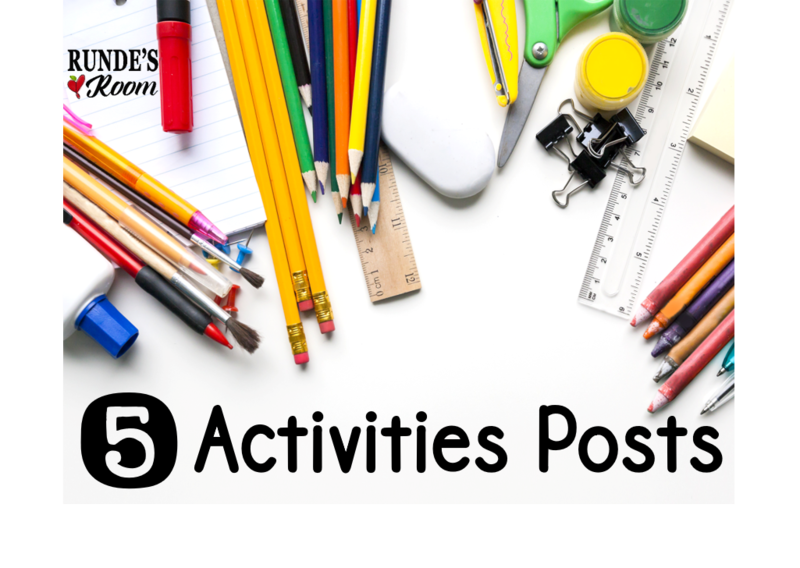 Love your blog and your activities! Thank-you so much, Beth! I hope you and your students enjoy!!! Happy Teacher Appreciation Week! Thank-you so much, Beth! 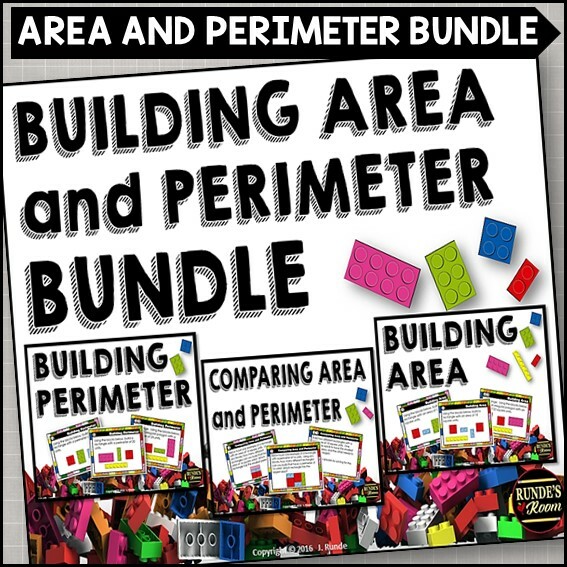 I hope you and your students enjoy! Happy Teacher Appreciation Week! Money cootie catchers??? You MUST be a genius! Thanks so much for the freebie! They will get used here for sure!!! I hope your kids enjoy these!!! Thanks so much for the money cootie catchers! I know this will be fun for the kids.